The road to weight loss is often strewn with fad diets, broken promises, and exercise equipment that gathers dust instead of logging miles. You do need to make sure you are getting regular physical activity. And what better time than springtime to kick your fitness up a notch? Longer days and warmer weather provide the perfect motivation. And you do not have to train for a marathon, either. 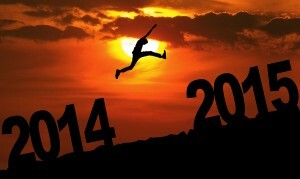 Just get more activity than before and you are getting on track. Let springtime inspire you to break down those barriers and finally make fitness a way of life. Take those evening strolls with your spouse, play outside with your children, take your dog for a nice long walk. Regular physical activity improves your mood, enhances the quality of your life, helps you burn off stress and, most important, it strengthens your body while it burns calories. Physical activity helps your body work the way it is supposed to. Even simple walking is a good, weight-bearing exercise that helps keep muscles, and your heart strong. Think about how good you feel when you finish your workout. Many people have trouble getting started, but once they finish, they feel terrific, partly due to endorphins, those feel-good brain chemicals. Evidence suggests that physical activity improves mental ability in people with heart disease, and that music enhances brainpower. And the combination of music and exercise was found to be more stimulating to the brain than exercise alone. So, turn your music up and get started. Through your health insurance plan, Blue Cross Blue Shield of North Carolina offers all the essential benefits under Obamacare and having your wellness/preventive care visit each year is covered at 100% with no deductible. Always consult your doctor before starting any new exercise program, and then spring into action. Good news for older adults, part of the prescription for a healthier, better retirement is exercise. Physical activity protects against declining health and adds years to your life. Blue Cross Blue Shield of North Carolina offers many choices of Medicare Supplement Plans which offers discounts to gyms and don’t forget those wellness visits each year. Did you know that moderate intensity physical activity can help you live longer and reduce health problems? Regular exercise helps control blood pressure, body weight and cholesterol levels, and cuts the risk for hardening of the arteries, heart attack and stroke. It conditions muscles, tendons, ligaments and bones to help fight osteoporosis, keep your body more limber and stabilize your joints, thus lowering the risk of everyday injury. Also, it improves digestion and is good for managing lower back pain, arthritis and diabetes. Regular physical activity helps you maintain your independence. Recently, there has been research that suggests an active lifestyle lowers the risk of some cancers. But perhaps the best reason for incorporating regular exercise into your life is that you will feel better. Exercise helps you sleep better and manage stress better, and gives you more energy to enjoy work and play. A good exercise program includes cardiovascular exercise, muscular conditioning and flexibility exercises. The best cardiovascular exercises for seniors are non-jarring, such as walking, swimming and cycling. Start with a light regimen and gradually build up to a total of at least 30 minutes of activity on most days of the week. Playing with children, walking the dog, dancing and gardening are other ways to incorporate activity into your daily routine. Strengthening exercises such as lifting light weights help to maintain your muscle mass and promote bone health. Research suggests that adults older than 50 years who do not perform resistance training lose nearly 1/4 pound of muscle mass per year. Since muscle mass is directly related to how many calories your body burns each day, resistance training is important for weight management. End each workout with stretching exercises to help maintain your mobility and range of motion and decrease your risk for injury. The best way to keep fit is to choose exercises you like. Some older adults like aqua aerobics, yoga, pilates or just walking the dog. Seniors also enjoy group exercise classes, since they offer an opportunity to socialize and develop friendships. As always, make sure you consult your doctor before beginning any new exercise program. At NC Health Plans, summer is our favorite time of year; however, summer can be stressful! Although summer may seem like the time of year that should have the least amount of stress, oftentimes the fast-paced, vacation-packed, activity-driven summer months can be demanding and exhausting. Stress is a normal psychological and physiological response to the ever-increasing demands of daily life, but it can wreak havoc on the human body. In fact, surveys show that many Americans suffer from stress at some point during the year and is it any wonder? Managing the pressures of work, home, and family can be taxing to say the least and the stress created can take a toll on both body and mind. For that reason, stress management is an increasingly important part of preventive care, even during the summer months. Blue Cross Blue Shield of North Carolina is a strong advocate of preventive care and according to the American Heart Association, cardiovascular disease is the leading cause of death in America. In fact, taking care of your heart may be one of the most important things you can do to improve your health and increase longevity, but how can you improve heart health? Truthfully, it’s nothing we don’t already know, but a few small, deliberate changes this year could make all the difference. As a mother of four, I can tell you that nothing is more exciting, or daunting, as the end of yet another school year. The fact that I can lay aside daily tasks such as homework, packing lunches, and making a protein breakfast before 7:00 am offers a well-earned respite for both myself and my children. On the other hand, facing three long months of unfilled eight hour days is also an overwhelming prospect. I am literally haunted by the question, “what should we do today?” Although staying in our pajamas and lazing in front of the television or computer is the easiest, and perhaps most tempting idea, I am cognizant of the fact that what’s easiest isn’t always what’s best. In fact, studies show that sedentary kids (and moms) are very likely to experience unhealthy summer weight gain, leading to increased health problems, negative attitudes and even depression. Summer is supposed to be full of fun activity, but if you have children you know all too well how difficult it can be to get your kids moving. With all the allure of Facebook, YouTube, video games, cell phones and good old fashioned cable TV, it can be a serious challenge to get your children out of the house and into physical activity. Pediatricians, physical educators, and health experts, however, all agree that too many kids are choosing to fill up their summer vacation with sedentary activities rather than with activities that require exercise and physical exertion. Honestly, what’s a mom to do? How can we possibly compete with the images and interactions our kids can experience without ever having to move a muscle? If we know that the experts recommend at least 60 minutes of exercise every day, then how can we help our kids stay fit without subjecting them to the tedium of the treadmill or making them feel as if their summer is nothing more than another task filled time of life? From one parent to another, I admit I don’t have all the answers, but here are some ideas I have collected from various sources to help us keep our kids from falling into the trap of a sedentary summer. 1. Media-free Monday: We all know our kids should be watching less television, less YouTube and playing less video games, but it’s tough. One thing I’ve discovered is that if kids don’t expect to get it, they won’t be quite as disappointed. Instituting one day a week where media is simply off limits not only manages expectations, it also gets kids thinking about other things they can do to make summer enjoyable. Starting the week off with a day that requires kids to think outside the box can actually set you up for success for the rest of the week. Make it fun, make it challenging and let your kids know that there are six other days of the week when media can be a part of their day. I once read that it’s not what we are doing while watching TV that’s dangerous, it’s what we’re NOT doing. It’s surprising what you can accomplish or create or learn in an eight hour day when media is simply off the table. 2. Set Physical Fitness Goals: One summer, I offered my children $25 a piece if they completed a physical fitness challenge. That summer, one of my children learned to ride her bike and another worked his way up to doing 25 push-ups in a row. 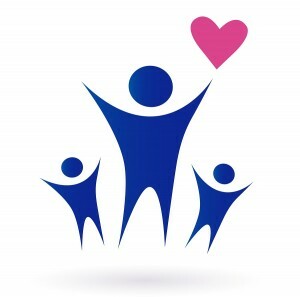 Goals are important and as a mother, I am happy to invest a little money in my children’s physical health. Perhaps set the goal of being able to swim 10 laps without stopping, or find a 5K and offer a small reward to the child who completes it. Teaching our children now that exercise is important will be worth it’s weight in gold further down the road when we’ve raised healthy, physically active adults. 3. Exercise Together: Let’s face it, kids aren’t the only ones who struggle with laziness, especially after an eight hour day at the office. The nice part about summer is that the days are longer. Take advantage of those summer evenings, when it’s still light outside, but not quite as hot, by making after dinner a time when your family gets outside. Take a bike ride or a walk or play a game of basketball or freeze tag. You’ll be surprised at how much more willing your kids are to exercise when you are doing it with them and who knows? It could be you all discover you would rather be outside playing together than inside watching another rerun of Family Feud. 4. Make a Schedule: Although you don’t want summer to become too rigid, too much down time can also become a burden, especially for children who tend to be high achievers. Perhaps create a modified summer schedule that factors in specific times to read, create, exercise and relax. A variety of activities will keep your children from becoming bored and will also keep the juices flowing. Maybe you have an artist or a chef or a musician in your home. Summer is one of the best times to explore some of the more creative aspects of your child’s personality. If you don’t know what to do, ask your children. They know what they enjoy better than anyone and if you make it fun and interesting, they won’t resent having scheduled time to do things other than simply sit on the couch or stare at a screen. 5. Keep it Simple: Sometimes as parents we fall into the trap of believing bigger is always better, but it’s simply not true. Although my kids love to go to specialized camps for basketball or gymnastics, they don’t want to go to camp all summer and they don’t need day after day of elaborate outings in order to be active and find enjoyment. A simple game of soccer in the yard, throwing a Frisbee at the beach or walking to the local library can be equally, if not more, gratifying. Make a list of 50 things you would like to do with your kids this summer that don’t cost a lot of money, but provide a lot of activity and interaction. Not only will your kids be thrilled, I’d be willing to bet you will find that summer is a big success for the whole family. The dangers of a sedentary summer are obvious and the experts agree. Both adults and children need more exercise and practicing preventive care maintenance is always easier than combating health care issues. Don’t let the prospect of long summer days with no activity defeat you. Make a plan and make it fun. As always, before starting any weight loss program, consult your doctor first and get his/her clearance for physical activity. Find out if there are any issues that would affect you or your children participating in a new nutrition and fitness program. North Carolina offers some of the most diverse and beautiful landscapes in the continental United States and this spring, Blue Cross Blue Shield of NC encourages you to get outdoors! BCBSNC understands the importance of preventive health care, which is why preventive care benefits covered at 100% are a part of every Blue Cross Blue Shield of NC health plan. The benefits of regular outdoor activity are indisputable. Not only are there physical benefits, such as aerobic, cardiovascular and muscular fitness, improved functioning of the immune system, lower blood pressure, weight loss and reduced arthritis pain, there are also a number of psychological and environmental benefits as well. Being outdoors is good for the mind in that it can reduce stress, improve self-esteem and aid in fighting depression. 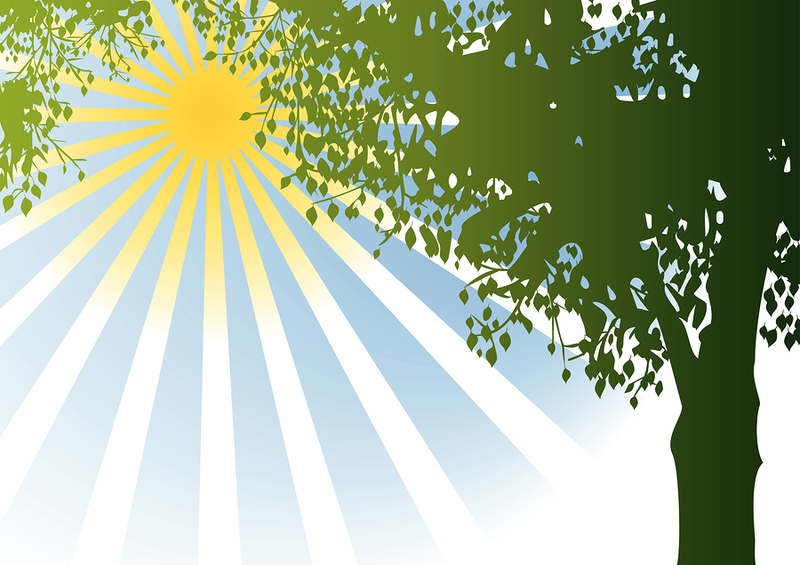 Even further, the Vitamin D our bodies absorb from moderate exposure to sunlight is also vital for an overall sense of mental health and physical well-being. In addition, regular outdoor activity can also increase environmental awareness, keeping us more in touch with our world and more inclined to care for our planet. Personally, I grew up in Texas and one of the things I most appreciate about North Carolina is the geography. Texas is such a huge state that it literally takes days to get from the Gulf of Mexico to the greener landscapes of the Panhandle or the drier, desert climate of El Paso. Residents of NC, however, don’t have the same problem. We can enjoy the cool beauty of the Blue Ridge Parkway, and then drive but a few short hours to enjoy the warm waters of the Crystal Coast. In fact, this spring you don’t even need a gym to get moving and improve your health. 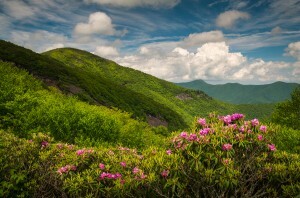 North Carolina has some of the best hiking trails in the United States so take advantage of those mountains. When the summer heat becomes too much to handle, plan a day or two in the mountains where you can walk and hike with ease, while enjoying breathtaking views. Walking and hiking are an excellent source of cardiovascular exercise and will help keep your heart healthy all year long. Or if you prefer, head down to the ocean. For more strenuous exercise, go surfing or paddle boarding. Both of these water sports engage all of your muscle groups and will help build both strength and agility. For a more relaxed approach, go jogging or take a walk on the beach. Walking or running in the sand is a moderately strenuous exercise that can build muscle strength and endurance. 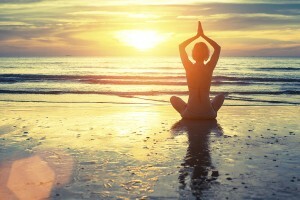 Beach exercise is not only fun and relaxing, it is a great way to enjoy the outdoors while taking in the sun and surf. The main thing to remember this spring is don’t get stuck indoors! There are so many benefits to outdoor exercise and so many ways to enjoy the great outdoors and the beauty of North Carolina. Of course, before starting any weight loss or exercise program, always consult your doctor first and get his/her clearance for physical activity. Find out if there are any issues that would affect you participating in a new nutrition and fitness program. Blue Cross Blue Shield of North Carolina understands the benefits of preventive care and taking care of your physical health and mental well-being. Discover why it pays to be a Blue Cross Blue Shield of NC member. For more information on Blue Cross Blue Shield of North Carolina health insurance coverage, the Marketplace and healthcare gov to apply for your subsidy, please visit our website at www.nchealthplans.com or call our toll free number 888-765-5400 and speak with one of our experienced and professional agents. Let us help you navigate through the Health Care Reform changes in accordance with the new regulations of The Affordable Care Act, also known as Obama care. The sun is shining, the air is warm and breezy, birds are chirping and flowers are blooming. Spring has finally sprung and with it, an onslaught of seasonal allergies. As much as we may love this time of year, we don’t love the runny nose, itchy eyes and other symptoms that often accompany the coming of spring. As the trees start to bloom and the pollen is released, an estimated 35 million Americans fall prey to seasonal allergies and their annoying effects. Although there is no real cure for spring allergy sufferers, there are some ways you can combat seasonal allergies through medication and lifestyle habits. The number one cause of spring allergies is pollen, and if you live in North Carolina, you probably knew this already. Every year, porches, cars and driveways are literally covered in a dusty yellow layer of annoying pollen. Basically, pollen consists of tiny grains that are released into the air by trees, grasses and weeds and believe it or not, pollen actually serves a purpose. It is vital for the fertilization of other plants, which is what makes spring so verdant and beautiful. However, when pollen grains get into the nose of someone who is susceptible to spring allergies, it can cause serious trouble in the immune system, which sees the pollen as foreign invaders and releases antibodies. Antibodies are the things our bodies produce to attack allergens and this leads to the release of chemicals called histamines into the blood stream. Histamines are what ultimately trigger that runny nose or itchy eyes. As you may well know, the higher the pollen count, the greater the suffering for those susceptible to spring allergies and pollen can travel for miles. Most local weather channels actually make a note of the pollen count in your area during the daily forecast, which may help you determine how symptomatic you are going to be that day. Allergy symptoms are especially high on windy days as the pollen travels through the air further and faster and the pollen count is usually highest in the morning. Inversely, rainy days can actually lower the pollen count as the rain washes away the allergens. Perhaps for allergy sufferers, enjoying an occasional spring rain is in order as it can offer some well needed relief. The most common symptoms of spring allergies include runny nose, watery or itchy eyes, sneezing, coughing and dark circles underneath the eyes (possibly because it’s harder to sleep when you are coughing and sneezing). Although it is impossible to completely avoid spring allergies if you live in a place where trees and grasses abound, you can ease your symptoms by avoiding your main allergy triggers, such as mold or pollen. Keep in mind that although spring allergies are not particularly dangerous, they can trigger more serious conditions such as asthma. If you are suffering from allergens, it may be time to take advantage of your health plan and see your health care provider. Blue Cross Blue Shield of NC is committed to the health and wellness of North Carolina residents, which is why with a BCBSNC health plan, visiting your doctor is easy and affordable with preventive care services covered at 100%. If your allergies are causing other more serious side effects, don’t wait to see your primary care physician. Although spring is one of the loveliest times of year, it can be a drain on the health of those suffering from spring allergies. Keep in mind, however, that despite the pollen in the air it is important for your health to stay active. Even if you have to take your walk in the rain, don’t let spring allergies keep you trapped indoors. This spring, combat your allergy symptoms while still taking time to enjoy as much of the beautiful weather as possible! One of the nicest parts about spring is that the sun is shining brighter and more often than during the long months of winter. Children are heading to school without jackets wearing short sleeves, pets are spending afternoons lounging in the yard, and restaurants are offering outside patio dining once again. Let’s face it, human beings (and our furry friends) simply love the sun! And believe it or not, the sun is good for us, providing our bodies with essential vitamins and nutrients that help us function better. 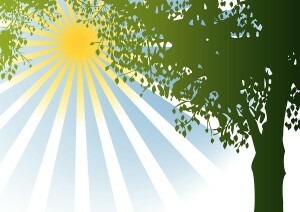 Despite the negative press the sun has received in recent years, sunlight has many benefits. For one, sunlight increases the oxygen content in human blood, enhancing the body’s capacity to deliver oxygen to tissues efficiently. Sun exposure has also been known to help cure depression and related conditions, such as Seasonal Affective Disorder (SAD), that come from sunlight deprivation. In addition, the sun provides our bodies with Vitamin D, a vitamin known to increase bone health and even reduce the risk of certain cancers! Even with all the good the sun does our bodies, however, there can be no denying that overexposure to the sun’s rays can be hard on the skin. Known to increase the signs of aging and also for causing certain kinds of skin cancer, the sun is a pleasure we need to partake of wisely. Luckily, research has shown that most skin cancer can be prevented. Avoiding midday sun (from 10 in the morning to 4 in the afternoon) is one way to limit skin’s exposure to the strongest sunlight, without completely eliminating sun from your schedule. Also, if you know you are going to be out in the harshest part of the midday sun, wear protective clothing such as a hat with a wide brim, sunglasses with UV ray protection and loose-fitting clothing that covers arms and legs. Younger children, especially, need to be sure their skin is protected from the sun. Some research suggests that most of the damage done to our skin happens before the age of 20 so it’s important to start young. Babies under 6 months should rarely be in the direct sunlight and never during midday rays. Also, babies and children should use a sunscreen with an SPF factor of 30 or above to make sure their very sensitive skin is protected. Lip balm with an SPF of 30 or above is also a great way to protect your lips from getting sunburned or developing cold sores. Remember that the best plan is to never allow your skin to become burned by the sun’s rays, but if you do happen to get a sunburn, keep in mind that skin healing from a sunburn is sensitive to more damage from the sun so be especially cautious to care for already overexposed skin. Tanning beds are also never a good idea. Artificial tanning devices can cause skin damage and increase the risk of skin cancer without providing any of the benefits we receive from natural sunlight. The sun is shining and we are the first to admit we love it! A good plan of action is to maintain a balanced approach to sun exposure, enjoying the benefits of being in the great outdoors without letting your skin be overexposed. As Benjamin Franklin said, “An ounce of prevention is worth a pound of cure,” and Blue Cross Blue Shield of North Carolina believes strongly in the benefits of preventive care maintenance. Your skin is your body’s largest organ so make a plan to protect it while soaking in the sunlight! We all know exercise is an important part of feeling well, but you may be surprised at how much regular physical activity can improve not only your health, but also your mood and overall effectiveness. One of the nice things about exercise is that it is available to everyone, regardless of your age, gender or even ability. 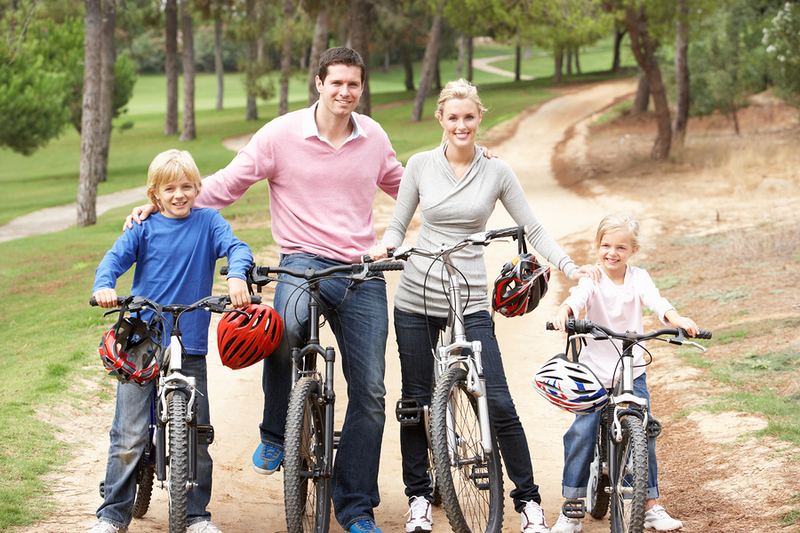 There are many different kinds of physical activities for all different kinds of people. 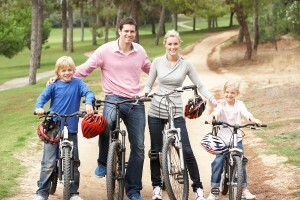 According to the Mayo Clinic, there are at least 7 clear benefits to regular physical activity. Check these out and we think you will agree that routine exercise is one of the best choices you can make for your daily life. Weight is really a fairly simple formula of calories in and calories out. Exercise helps prevent excess weight gain and allows for weight loss because physical activity burns calories. More intensive activities, such as running or swimming burn more calories, while less intensive activities such as walking burn less. Nevertheless, all activity helps! Even small adjustments in your routine, such as taking the stairs instead of an elevator, can make a big difference and you don’t have to set aside hours of your day. A twenty minute brisk walk daily can have a big impact on weight control and there are many exercise routines you can do right in your own home. Exercise increases blow flow, which in turn reduces your risk for cardiovascular diseases. Physical activity boosts HDL or “good” cholesterol and decreases unhealthy triglycerides, which can help prevent heart disease and high blood pressure. Studies have shown that maintaining a regular exercise routine can help prevent or manage a wide variety of health related problems, including certain types of cancer, stroke, type 2 diabetes, arthritis and even depression. If you want to live longer, exercise is perhaps the most important thing you can do. We all have mood swings, which is a natural part of being human, but did you know that a gym workout or a nice long walk can actually help improve you mood? Physical exercise stimulates not only your body, but also your brain, releasing chemicals that may leave you feeling happier and more relaxed. When you exercise regularly, you may also feel more confident in your appearance, which can boost self esteem and an overall sense of well-being. If you find yourself feeling exhausted or unable to complete daily chores or responsibilities energetically, you may need more physical activity. Improving muscle strength and boosting endurance, exercise delivers oxygen and nutrients to your tissues and helps your cardiovascular system work more efficiently. When your body works better, you have more energy to meet the demands of daily life. It may seem counter-intuitive, but if you are struggling to either fall asleep or stay asleep, regular exercise can help. Because your body will be more tired, you may find you fall asleep faster and sleep deeper than you ever have before. Although you want to avoid exercising too close to bedtime as this can actually increase your energy level, a routine of physical activity can improve your sleep immeasurably. There are many ways to make exercise fun. A hike through the woods or rowing a boat across a lake are great ways to enjoy the outdoors and engage in joyful experiences. 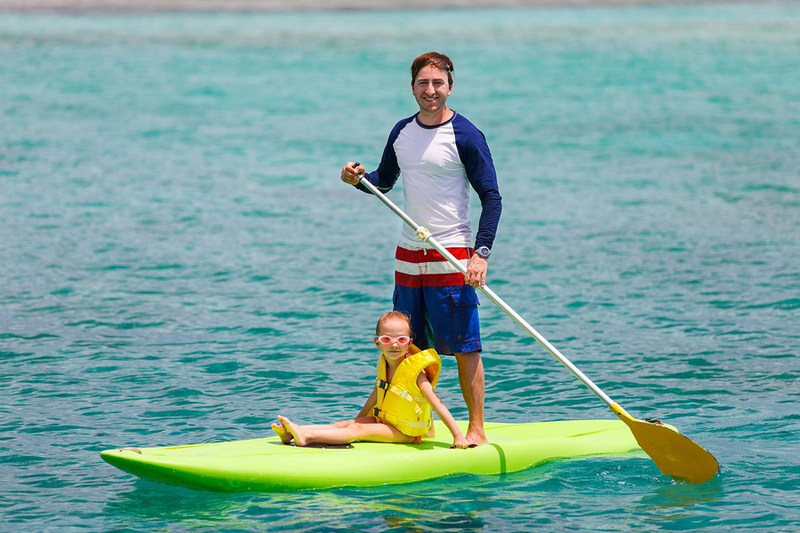 Use exercise to connect with family or friends in a social setting by playing a game of volleyball, going paddle boarding or skiing down the slopes. 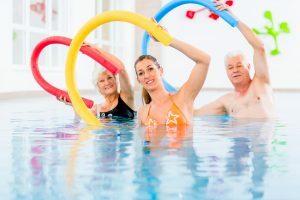 Joining a soccer team or participating in a water aerobics class are great ways to meet new people and increase your circle of friends, while improving your health. As the Nike slogan says, “Just Do It!” and if you find you don’t enjoy what you are doing, try something new. You are sure to find an activity that suits your lifestyle. Bottom line is: Exercise is vital for health and mental well-being and Blue Cross Blue Shield of North Carolina is a proud supporter of preventive health care! As a general rule of thumb, aim for about 30 minutes of physical activity a day. If you have specific weight loss goals in mind, you may have to exercise more, but always consult your doctor before beginning any exercise regime. It may be a myth that cold weather actually makes you sick, but it can negatively affect your health nonetheless. Blue Cross Blue Shield of NC knows that being prepared and also aware of the potential dangers of cold weather induced health risks can help you stay well even when it’s not all that warm outside. With lower temperatures comes greater potential for all kinds of health issues, from cold and flu, to increased weight gain, indoor allergies, and possibly even depression. According to the Center for Disease Control (CDC), 5-20% of Americans are infected with flu virus each year and 200,000 are hospitalized due to complications, such as pneumonia. Although cold weather won’t give you the flu or even the common cold, Dr. LeeAnna Lyne from Susquehanna Health Medical Group in Pennsylvania explains how cold weather affects our bodies: “Cold weather causes decreased blood flow in the nose, ears, hands, etc., to keep the heart and brain protected. This causes dryness and a decreased ability of the nose to filter pathogens like viruses.” In other words, cold weather may not make you sick, but it makes you more vulnerable to becoming sick and it can also aggravate the symptoms you may already have. 1. Practice cleanliness and good hygiene: Sanitize, vaccinate, cover your mouth and wash your hands! Avoid touching your mouth, nose and eyes as these areas are the most susceptible to dangerous pathogens. Also, clean your house regularly with disinfectant and vacuum using a HEPA filter. Wash clothes and bedding regularly. 2. Dress for cold weather conditions: Allowing your body to become too cold can stress your immune system and aggravate existing conditions. Wear a coat and don’t go outside with wet hair. Dressing warmly can help prevent the risk of pneumonia, frostbite and hypothermia. 3. Exercise regularly: Cold, wet and rainy weather is not conducive to exercise, but maintaining a regular exercise routine is imperative. Being stuck inside can create a recipe for weight gain, not to mention muscle atrophy and the lack of energy that accompany inactivity. Staying fit ensures your immune system is ready for the fight should you encounter attacking viruses. 4. Go outside anyway: If at all possible, put on a winter coat and get outdoors. Outdoor activity boosts physical health, not to mention increasing levels of Vitamin-D, reducing stress and improving mental health. It may be chilly outside, but don’t let cold weather keep you from the benefits of being outdoors. A lack of sunshine can trigger a chemical imbalance in the brain, leading to depression and Seasonal Affective Disorder (SAD). 5. Know your limits: Cardiac death rates increase in the cold weather months and though the reasons for this increase are not fully understood, it is believed that the physical effects of colder temperatures along with overexertion may play a key role. Older people and people with preexisting health issues need to understand limits and be willing to ask for help. Even those in optimal health need to take more frequent breaks. 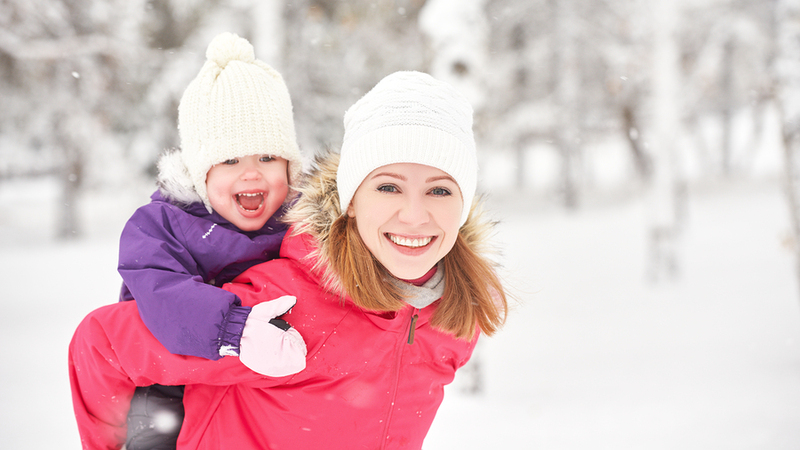 When it comes to staying healthy, colder temperatures require extra precaution. Preventive care maintenance is something Blue Cross Blue Shield of North Carolina takes very seriously, offering preventive care coverage at 100%. For more information on Blue Cross Blue Shield of North Carolina health insurance coverage, the Marketplace and healthcare gov to apply for your subsidy, please visit our website at www.nchealthplans.com or call our toll free number 888-765-5400 and speak with one of our experienced and professional agents. Let us help you navigate through the Health Care Reform changes in accordance with the new regulations of The Affordable Care Act, also known as Obama care.